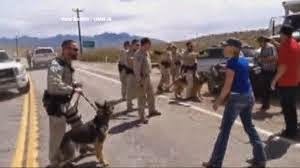 Via an email alert from Carol Bundy, they are asking anyone that was present during the illegal activities conducted by the Bureau of Land Management (BLM) against the residents of Bunkerville, supporters of Cliven Bundy during the “range war,” and militia members, to join them at Clark County Sheriffs office in Las Vegas NV, to file a formal complaint with the Sheriff, to investigate the BLM activities. any day between 8am-4pm and file a report about what happened to you. the legal system to put a stop to this sort of activity. and dealt with in an official capacity. Please don’t let this opportunity to make the Sheriff do his job slip away. These Criminal Complaints cannot be registered by phone, so anyone that can join the Bundy family should and those that cannot on May 2, 2014 at 10:00am, should do so as soon as they are capable. The sheriff’s lack of involvement until the last day is atrocious and while he should be investigating this activity on his own, it appears he is not, so it is up to the people to once again force the law to do the right thing.